Ships tomorrow if you order in the next 20 hours 16 minutes. 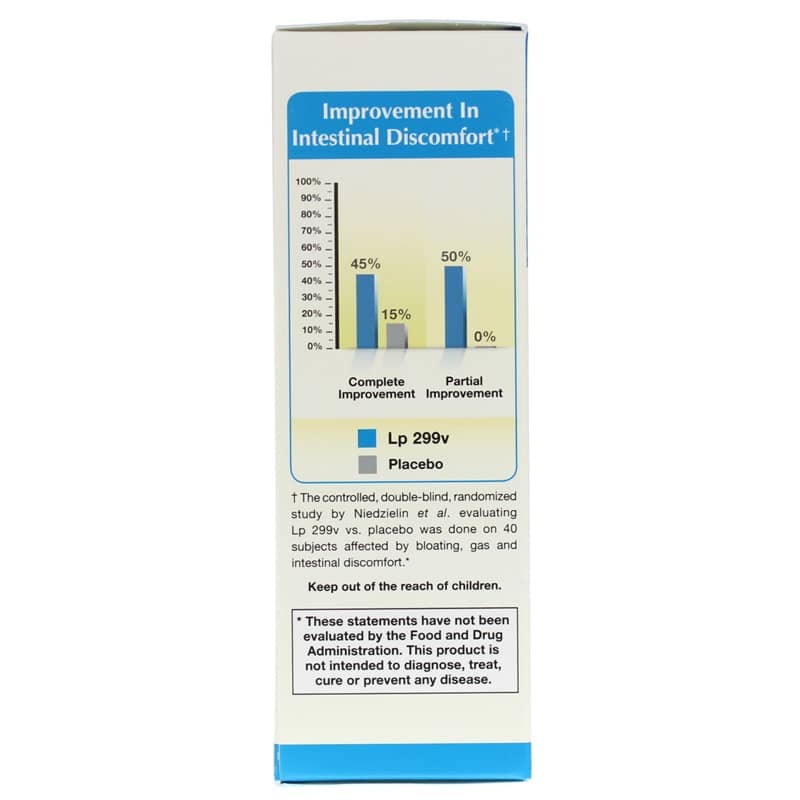 Lactobacillus plantarum 299v is a strain of probiotic bacteria that colonizes intestinal mucosa. It is showing much promise for its health benefits, including discouraging gas problems and pain, counteracting certain "bad" bacteria and promoting iron absorption. 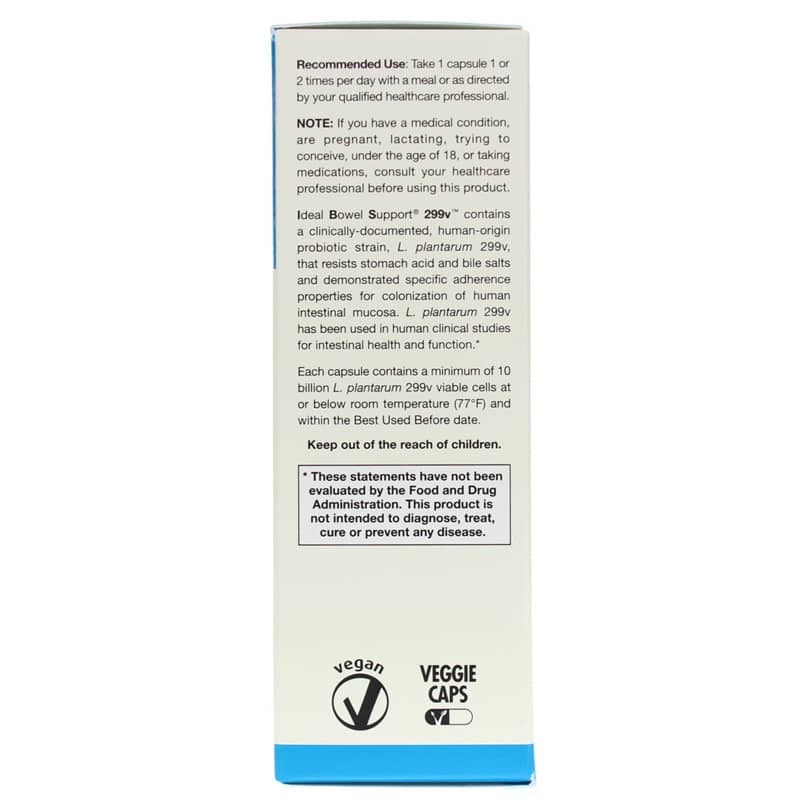 Since L. plantarum 299v has the ability to resist stomach acid and bile salts, it is able to successfully travel all the way to the intestine intact. 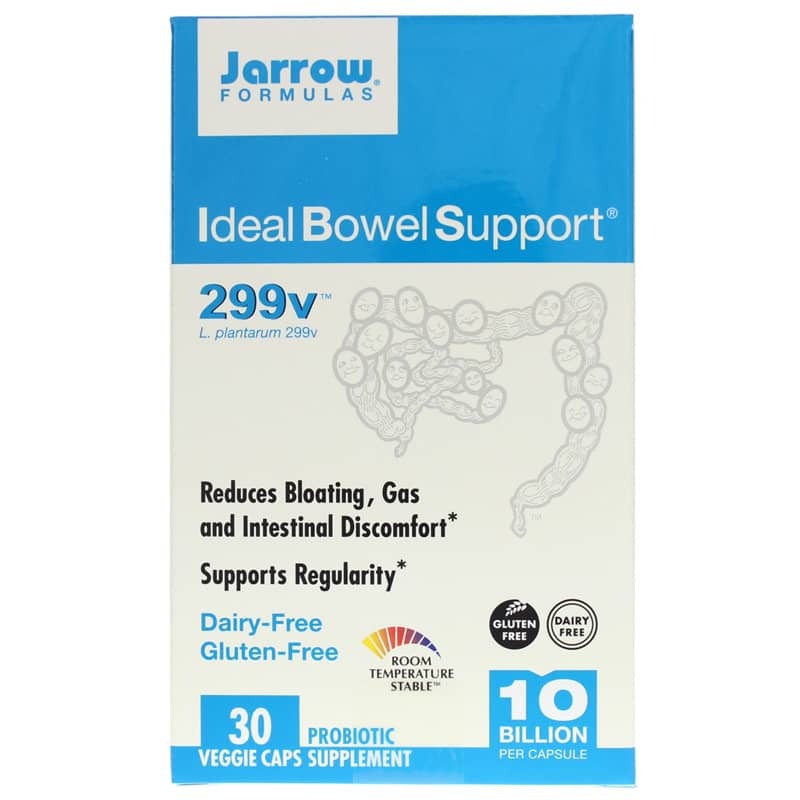 Jarrow Formulas offers a natural probiotic supplement called Ideal Bowel Support that seeks to support regularity, and discourage gas, bloating and stomach discomfort. 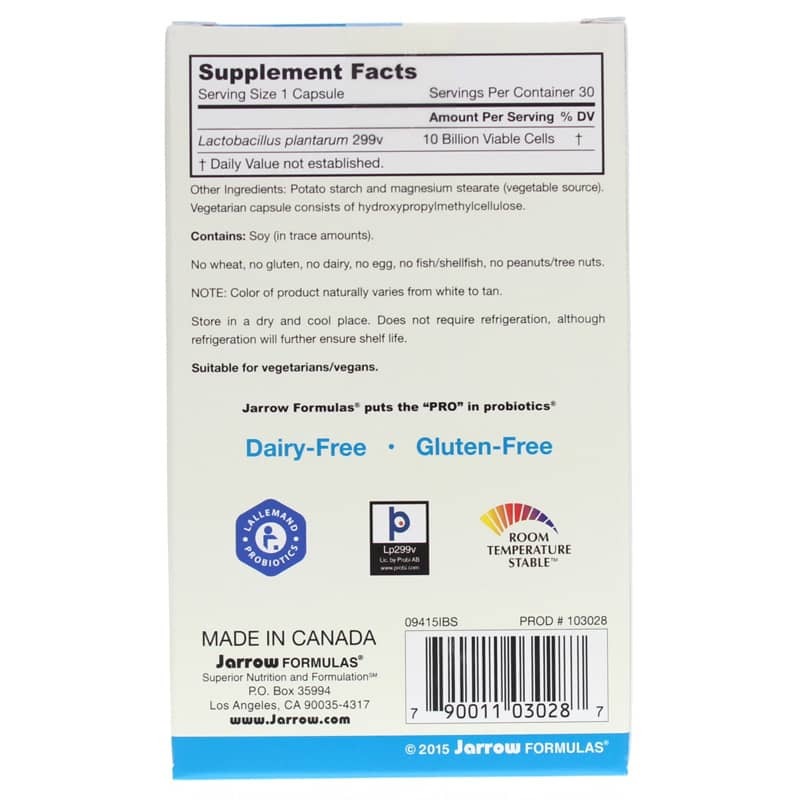 This supplement contains trace amounts of soy, but is free of wheat, gluten, dairy, egg, fish, shellfish, peanuts and tree nuts. It does not require refrigeration, though this would further ensure shelf life. If you're looking for a natural probiotic supplement that seeks to support regularity, and discourage gas, bloating and stomach discomfort, consider Jarrow Formulas' Ideal Bowel Support. Order online today! Other Ingredients: Potato starch and magnesium stearate (vegetable source). Vegetarian capsule consists of hydroxypropylmethylcellulose. Contains NO: wheat, no gluten, no dairy, no egg, no fish/shellfish, no peanuts/tree nuts. Suitable for vegetarians/vegans. Adults: Take 1 capsule 1 or 2 times per day with a meal or as directed by your qualified healthcare professional. Store in a dry and cool place. Does not require refrigeration, although refrigeration will further ensure shelf life.